The American Alliance for World Music and Arts (AAWMA) and the Princeton University Chinese Music Ensemble (ChiME) are excited to host the 3rd Princeton International Chinese Music Festival, which will take place at the Princeton University of NJ and Carnegie Hall in New York City from February 2–5, 2018. It is a 3-day concerts, lecture, demonstration, competition program. The Festival will feature music professionals from China, as well as the young talents from the Chinese Music Competition award winners. All concerts, lectures, workshops, and competition programs will take place in Princeton University, with the exception of the closing concert, which will be taking place in Carnegie Hall, New York. A vital part of this festival is a cross-cultural musical exchange with expert musicians from China. In memory of guzheng master, educator Qiu Dacheng, the lifetime mentor and teacher of Yang Yi, the founder and artistic director of the festival, the finale concert will present some of master Qiu’s well known music works, such as guzheng and pipa duet “Spring River in the Moonlight”. 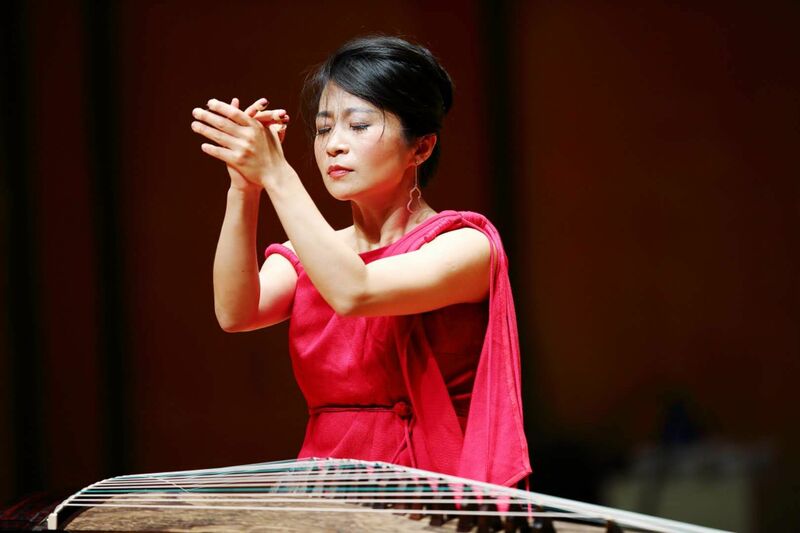 This concert will feature professional soloist and ensembles led by guzheng virtuosos and educators from China and US.. For example, the guzheng ensemble led by professor Qiu Ji from China Conservatory of Music, professor Xu Bing from Fujian Normal University, Dr. Feng Xiaojing from Beijing Normal University, as well as Yang Yi. The Chinese Instrument Competition showcased the talents and creativity of both amateur and professional musicians who perform and compose music using Chinese styles and instruments in the most creative and professional ways possible. The Festival is further committed to efforts that contribute to the diversity and growth of cultural life in New Jersey, New York and surrounding areas. Chinese Music Exchange Concert in Princeton University featuring competition’s top award winners. Carnegie Hall finale concert featuring award-winning young virtuosos, including Cheng Haoru and Cui Shan from Central Conservatory of Music, two of the “2014 Best Young Virtuosos” named by CCTV, as well as elite music conservatory professors such as Zhou Wang (Central Conservatory), Cao Dewei (China Conservatory), Chen Kun Peng(Guang Xi), and Sheng Yang and Zhou Zhan (Zhejiang). International Composition Competition judged by world class composers, and professors Chen Yi and Zhou Long, as well as Dong Kui. Carnegie Hall finale concert featuring award-winning virtuosos, including Zhang Lu from China National Traditional Orchestra, and elite music conservatory professors and faculties such as Cao Dewei (China Conservatory), Tong Yin & Xing Lu (Nanjing). 130 full orchestra production in the prestigious Carnegie Hall and Lincoln Center.